As the Tinder Fire continues to burn through Northern Arizona, officials are implementing new fire restrictions in the area. The Central Arizona Project and the Arizona Department of Water Resources will meet next week in what could be a reboot of talks that stalled last year. On the sixth day of a teacher walkout, the school is working with about three quarters of its usual staff and a few extra substitutes. The teacher walkout is on its sixth day, and while the teachers are marching on the capitol building, students are out of the classrooms. Peoria Unified School District officials met on Thursday morning to discuss re-opening procedures. Donor agreements indicate the foundation gave millions of dollars to have a say in whether university professors should be hired or fired. And universities in Arizona have received funding from the foundation. Wednesday night, educators and school staff wearing red filled the state House and Senate galleries and viewing rooms until the early hours of the morning to see the budget plan pass. 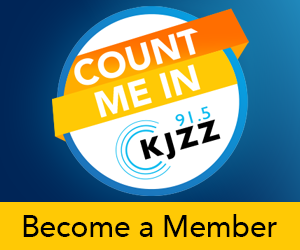 Two senior KJZZ managers have been placed on administrative leave by Rio Salado College. Listen to the sounds of Lucy and Alice Lundberg doing a progress check for the Phoenix Girls Chorus before the start of their next season. Supporters gathered for a sixth day to rally at the state Capitol on Thursday. They said they’ll continue the #RedForEd movement on to the elections this fall. At the age of 13, Yeonmi Park staged a daring escape from North Korea. But the treacherous journey carried an uncertain promise of freedom; she faced a harrowing experience at the hands of the Chinese before eventually making it to South Korea. Maricopa County has struck a deal with the Arizona Diamondbacks over Chase Field. It allows the team to immediately begin looking for another home and calls for the team to drop its lawsuit arguing the county should pay for $187 million in repairs. The Tinder Fire has burned for nearly a week in Coconino County, and so far, lower winds and high humidity have helped keep the progression of the fire down. Gov. Ducey signed the education funding portion of the budget early this morning, giving teachers a 20 percent raise by 2020. It’s a plan he first introduced weeks ago in an attempt to head off the teacher walkout that’s been going on for the last six days across the state. On this Thursday morning, the Arizona House finished work on the new state budget while the Senate had voted on the package of bills earlier in the day. Texas, and six other states, sued the federal government this week, arguing the Deferred Action for Childhood Arrivals, or DACA program is unconstitutional and should be ended. Voters will decide whether to move non-partisan elections for the mayor and Phoenix City Council from the fall of odd-numbered years to November of even-numbered years to coincide with statewide general elections. The AIA has pulled the credentials and banned photographers Jeff and Zach Edgington, known as “The Edge Twins,” over allegations of inappropriate conduct.